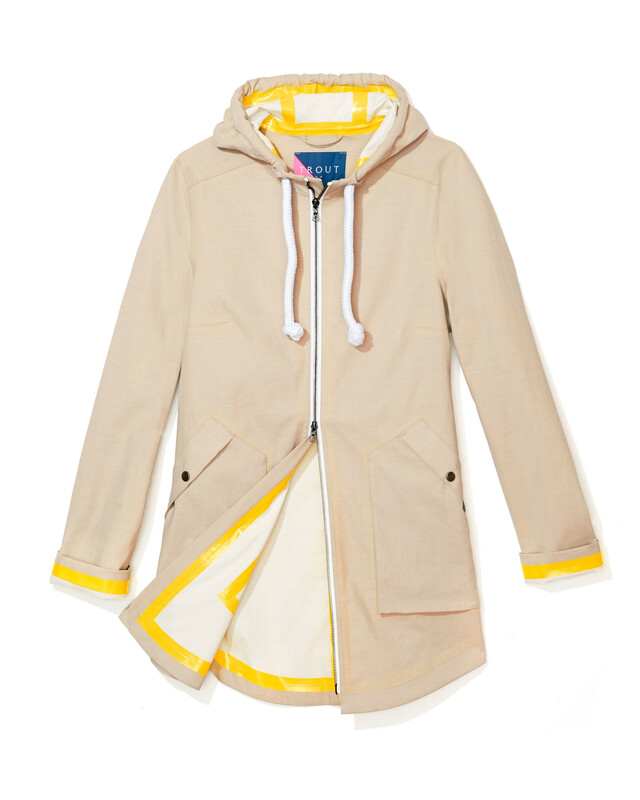 The Humboldt jacket in tan and neon orange. 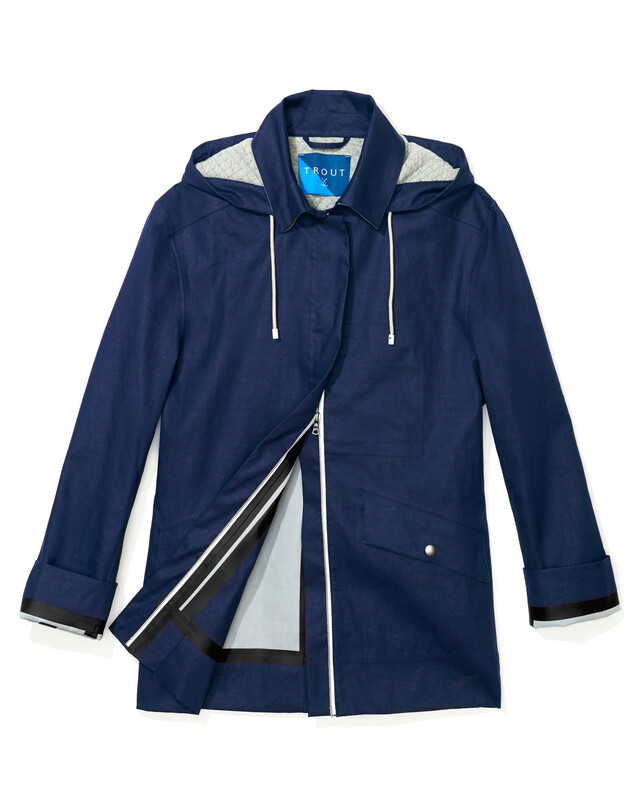 Trout Rainwear founders Ashley McDonald and Jenn Lancefield and head designer, Sarah Hopgood. The Bull jacket for men. 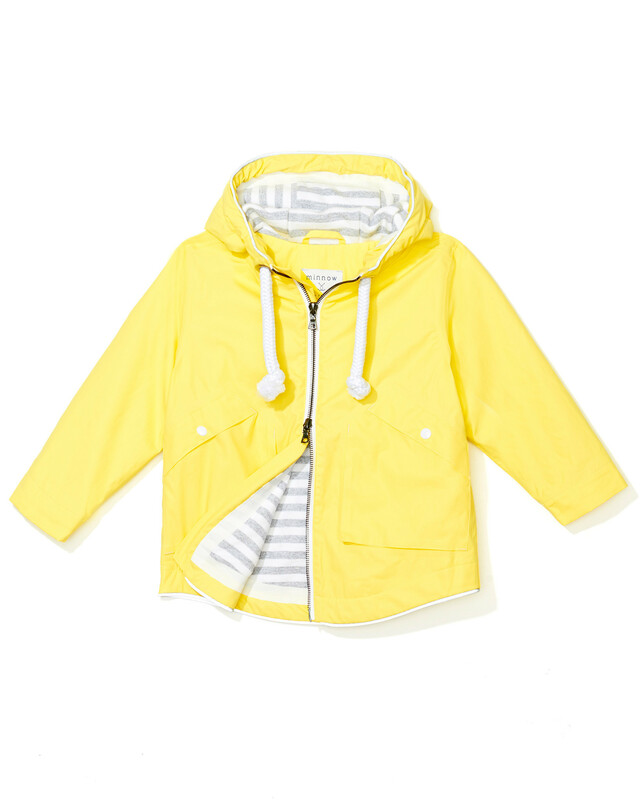 The Minnow jacket for children. 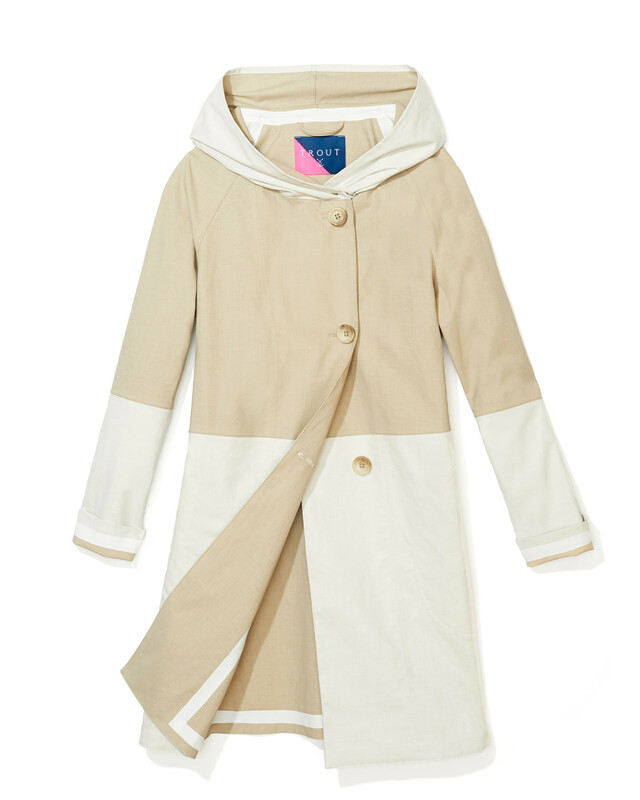 The Biwa jacket in tan and white. The Baby Gila jacket in tan. 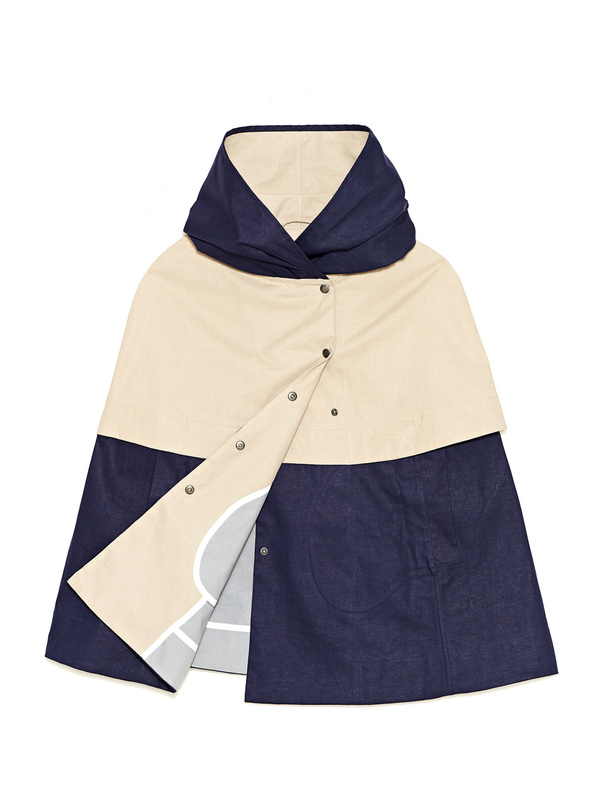 The Sevan Cape in navy and tan. McDonald drew from her previous experience in the men’s buying departments at Selfridges and Holt Renfrew when creating Trout, taking inspiration from the small, lesser-known brands that lined each store’s shelves. She oversees operations, while Lancefield utilizes her experience in the music business to handle finance, sales, and marketing. The duo recruited long-time friend Sarah Hopgood, a graduate of Parsons the New School for Design, to be Trout’s head designer. Hopgood brings experience and expertise from Ports 1961, Hudson’s Bay, and Theory, so developing flattering cuts for Trout went swimmingly. Her penchant for oversized (and concealable) hoods, bulky collars, and long, slimming arms have now become part and parcel of the label’s persona. The team heat-seals the seams of their outerwear using waterproof polyurethane tape, and the jackets are made of a hydrophobic 60/40 double-faced cotton and Italian polyurethane blend, ensuring breathability. That slow, steady approach to growth has paid off. Trout has already developed a following in Asia, and McDonald is looking to partner with a major retailer in the United Kingdom and United States, and then tackle the European market too. 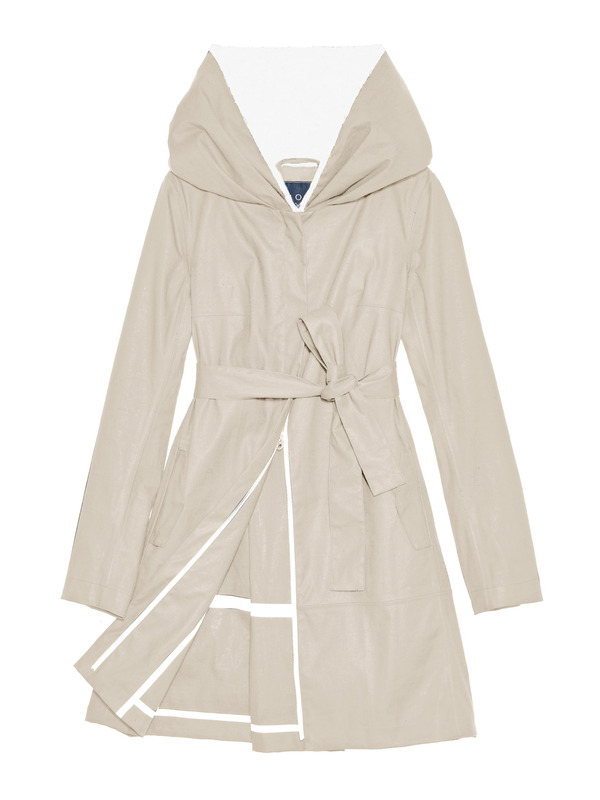 At this rate, Trout Rainwear will soon outgrow its Canadian pond.